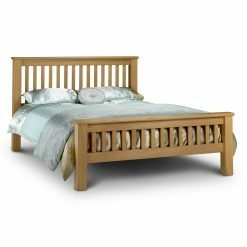 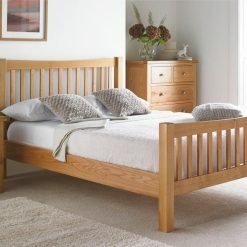 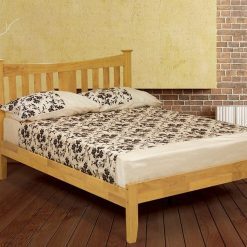 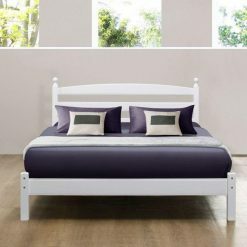 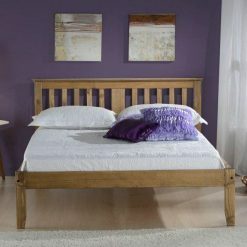 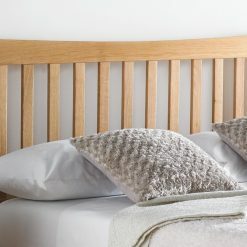 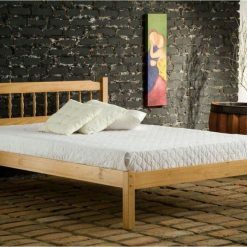 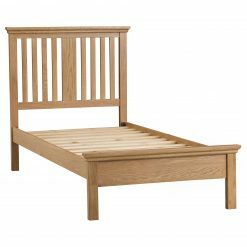 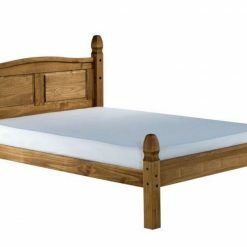 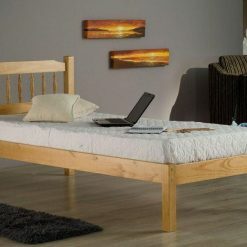 A great solid oak wooden bed frame with metal support rails that connects to head and foot end. 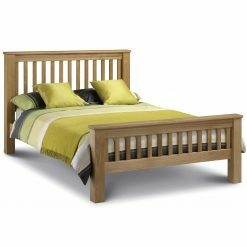 A sturdy great value-for-money bed. 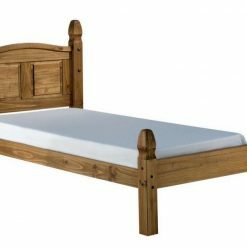 Comes in Double and King Sizes.